Target Earth remake due out on PlayStation 4 and PC. Assault Suit Leynos, Dracue Software’s high-definition remake of the 16-bit classic with enhanced visuals and new gameplay features, will launch digitally for PlayStation 4 and PC via Steam on July 12 for $19.99, publisher Rising Star Games announced. A physical release of the PlayStation 4 version is also planned, but has not been dated. It will include a deluxe double-sided poster featuring artwork from the Japanese release as well as original art from the classic 16-bit release, which is also known as Target Earth. 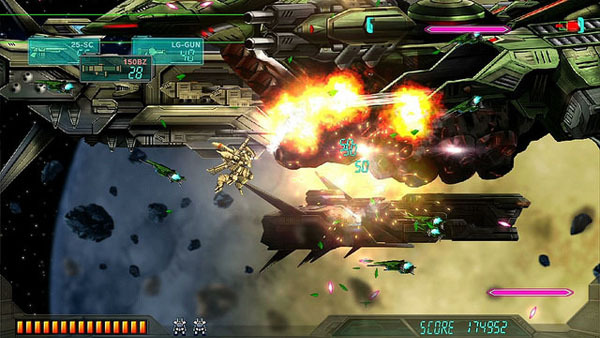 Assault Suit Leynos promises to offer the same level of challenge offered by the original release, as well as a newly remixed Arcade Mode with extended levels, fully-voiced cutscenes, and recalibration AI enemies, and a Classic Mode with ‘authentic’ 1990s-esque gameplay, effects, and music.